Karen Peace talks, especially at the beginning, had been fraught with confusion and divisiveness between certain factions within the KNU. Exploratory meetings that originally began in October and November 2011 were beginning to lay the groundwork for future talks, yet there was still much scepticism from some Karen leaders. 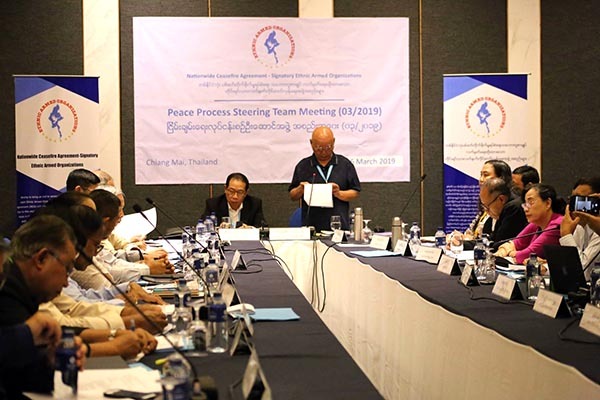 While it looked as if a schism was beginning to appear within the KNU leadership itself over the speed of the talks and the fact that Burma Army units had not retreated, a number of high-level KNU leadership meetings were convened and it was finally agreed that talks should continue. 1. Both shall cease fire. 2. Both shall not travel outside of designated areas with arms. 3. Shall station only at agreed upon areas. 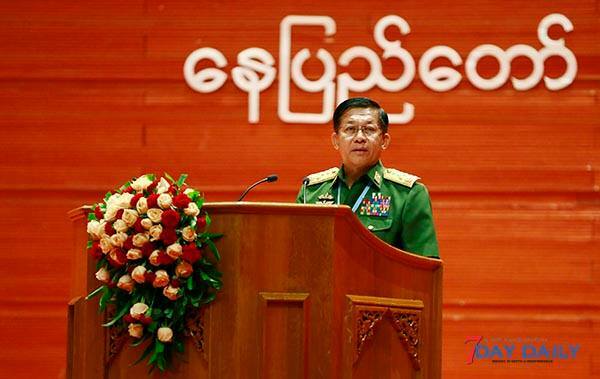 (a) Code of Conduct for ceasefire shall be developed and released at the Union-level meeting. (b) Both sides shall propose drafts Code of Conduct in early May to be negotiated at a face-to - face meeting, and draw the final mutually-agreed Code of Conduct. The final version shall be confirmed at the next round of meetings for implementation. (a) The issue of peace monitoring shall be discussed at the Union-level negotiation. President, and further implementation shall be carried out. 1. Realization of a nation-wide ceasefire, particularly in ethnic areas with ongoing fighting. 2. Guarantee of civilian livelihood free from intimidation. 3. Creation of conditions to attain trust among people. 4. Cessation of forced labor and forced collection of money or donations from the people in any form. 5. Release of prisoners, restoration of normalcy of civilian livelihood, and resolution of problems related to land rights of the people. 1. 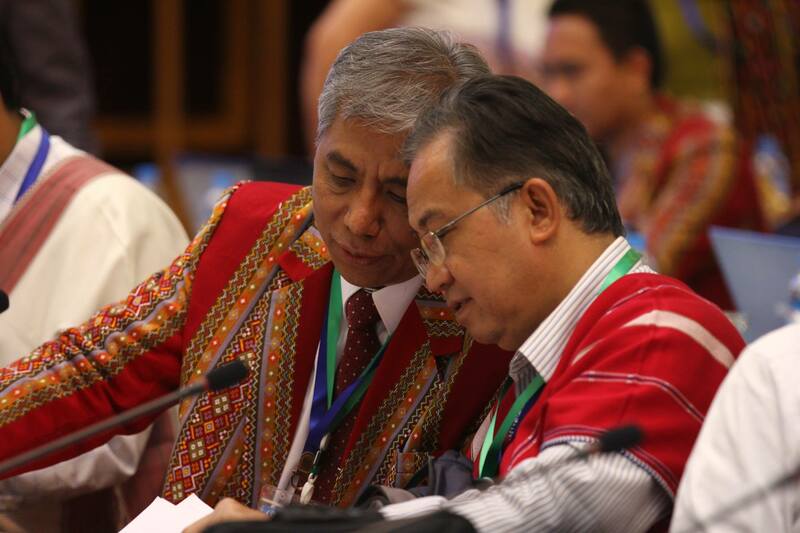 Both sides agreed to adopt the principle of progressive realization of nation-wide ceasefire. On-going armed conflicts in ethnic areas must stop immediately. 2. Both sides agreed to implement a mutually-binding ceasefire Code of Conduct in order to guarantee livelihood and security of the people. 3. Both sides agreed to implement resettlement programs to restore normal livelihoods for Internally Displaced People (IDPs), which must include pressing needs such as life security, food security, and livelihood security. It is agreed that such IDP resettlement programs must be implemented in an inclusive, transparent and accountable fashion. 4. Both sides agreed to work on long-term needs for the civilian population, such has demining and systematic relocation, repatriation, and resettlement of refugees. This includes rule of law and sustainable economic development. 5. The Government and the KNU must collaborate and coordinate as much as possible for peace building and restoration of trust among civilians. 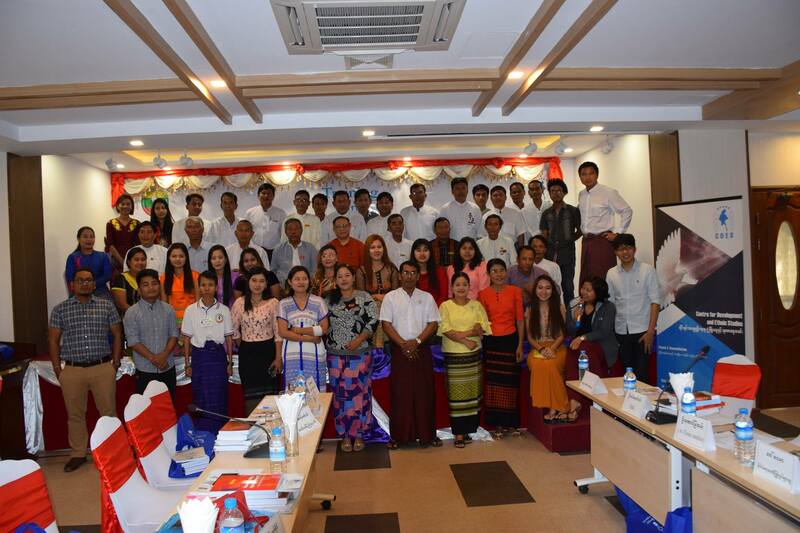 District- and township-level peace building teams must be established to help foster the peace process. In particular, women must be included in the peace process. place. The Government will revise laws to conform with ILO recommendations. Both sides agreed to cooperate in enforcing these laws. 7. Both sides agreed to allow active participation of NGOs, particularly community-based NGOs. 8. The KNU agreed to collect names of prisoners who have been arbitrarily arrested and imprisoned for suspicion of subversion and communicating with unlawful organizations and to send that list of names to U Aung Min. appropriate laws related to land rights are made. 10. Both sides agreed to acknowledge land ownership agreements existing within the KNU and other ethnic organizations and to find solutions in consultation for customary land ownership and other land rights issues for IDPs. 11. Both sides agreed to find the best and most fair solution for the land ownership of the people. 12. Both sides agreed to begin identification of mutually-acceptable peace monitors to support a durable peace process in Burma. Peace monitoring will be developed in three levels: (1) Local Monitoring, for initial stages of the peace process, (2) International Monitoring, to be developed once there is significant improvement in the on-ground situation, and (3) Open Monitoring, to be developed when ethnic areas attain stability in the on-ground situation. 1. To establish mutual ceasefire on both sides. 2. No armed personnel to be allowed except in specified zones. 3. Troops to station at specified zone that have been agreed upon by both sides. 4. Liaison Offices (no armed personnel) to be opened at appropriate and mutually agreed places. (i) The Union Government is to set up district-level and township-level peace process implementation committee and the committee will work with its corresponding level of KNU. (ii) To create trust building among soldiers from both sides, it is agreed to establish tripartite relationship among public and soldiers from both sides through broad public awareness. (iv) The two sides ensured to implement ceasefire-monitoring process with great transparency. (i) Regarding this matter, detail discussion is to be made within corresponding local organizations and the details to be reported for approval. (i) For state/region-level communication, Colonel Thet Tun from Bago Region of Union Government and Colonel Roger Khin from KNU were assigned. Shortly after the meeting in Pegu on the 11th April, Peace Negotiator and 4th Brigade District Chairman Padoh Kwe Htoo Win opened the KNU’s liaison office in Tavoy. Although two offices have been declared open, there still remain some operating details to be worked out before each is fully functioning. While the primary role of the offices is to monitor military movements, it is hoped that they will function on a much wider scale. At the moment there are staffing issues that still need to be addressed and discussions within the KNU continue on how best to implement humanitarian assistance via the liaison offices. Though it had initially been envisaged that the main KNU office would be based at Myawaddy, this idea has been dropped in favour of opening the main office in Rangoon. There may be some contention in relation to the opening of a KNU office at Three Pagoda’s Pass as the area is contested not only by a number of Karen groups but also by the Mon. Despite the positive changes in relation to the opening of KNU offices and the possibility that the KNU will become a legal organisation, there still remains a great deal of scepticism from urban Karen communities, especially in Rangoon and the Delta.9 While most Karen communities in those areas that have seen conflict over the past fifty years are more welcoming of the peace process, those outside conflict areas maintain little faith in the new Government and are consequently much more cautious. This view is also common among exiled Karen who continue to express their views via international campaign groups despite having very little contact with the communities who are most likely to be affected by the process. A further concern for the Karen National Union peace process is the continued existence of the Karen Peace Council (KPC) and the Klo Htoo Baw Battalion. While the Peace Council has largely been marginalized, at least one leading member, Lt. Col. Timothy Laklem, continues to secure a role for himself in Karen Politics. Timothy, along with then 7th Brigade Commander Htain Maung, split from the KNU in 2007 and there remains some bitterness in the mother organisation. While it is likely that Htain Maung may be looked upon more favourably by the KNU, such a courtesy is unlikely to be extended to Timothy. 1. The KKO recognizes the KNU as the mother organization, and will support the KNU. 2. The KKO promises to gain Karen independence and to follow Saw Ba U Gyi’s four principles. 4. To implement equality and self-determination, national unity and development, to build a federal union and a long lasting peace process. least 12 patrons -- mostly Buddhist monks and two Christian pastors12 - the organisation’s affairs are primarily administered by a 19 person Executive Committee, the Chairman of which is Mahn Robert Ba Zan. While a number of allegations have been made in the past in relation to DKBA 5th Brigade’s drug trafficking activities, these have mainly involved low-level commanders.15 This is the first time that Lah Pwe has been directly implicated in the trade and will seriously affect the activities of the armed group and the KKO. In addition, it is unlikely that any other Karen organisation, especially the KNU, will want to associate with a group implicated in the drugs trade. It is doubtful, now that it has been associated with drug trafficking, that the group can continue as it is. Although Robert Ba Zan and the KKO may attempt to improve the group’s image, it is questionable whether they will be able to significantly change people’s perception of it as a drug trafficking or criminal enterprise. Although it originally received a great deal of praise for its stance in refusing to become part of the Border Guard Force, these allegations are unlikely to simply disappear. The fact that the KPC and the Klo Htoo Baw Battalion continue to be active in Karen State, assuming the role of local militias, rather than representing the local population in a political context, needs to be further examined. Their existence, which appears primarily motivated by commercial concerns, could destabilise peace in Karen State, and both groups need to re-think their role in any future Karen State if the people are to benefit. The Karen National Union negotiators recognise the fact that they still have some way to go before achieving all of their requirements. The April meetings only addressed six out of the thirteen points put forward and it is hoped that further meetings in May will cover those issues remaining. Both sides are currently preparing codes of conduct and monitoring systems to be discussed at the next meeting, aimed at preventing any future misunderstanding in relation to military affairs. That said, however, no one is expecting immediate change and patience is needed on all sides. 10 ‘The Statement of the first Klo Htoo Baw Karen Organization’s Conference’, 01/2012, 2 April 2012, unofficial translation. 11 The Noh Poh Sayadaw became head of the Bo Mya appointed Buddhist council to oppose the influence of U Thuzana and provide a veneer of Buddhist equality.